Bedrooms are important - they are our own personal spaces to chill, sleep and work, and so it is essential that we feel as comfortable and cosy in them as possible. Here are 4 easy things to add to your bedroom (that I have added to mine) to give more character and add a touch of cosiness! 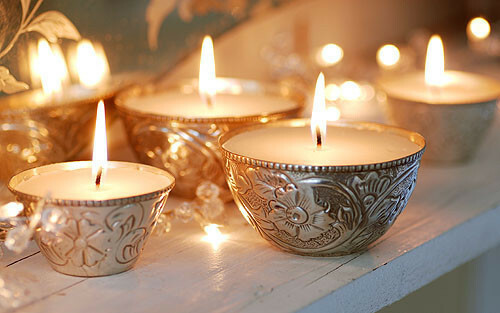 Personally, candles add a lovely, cosy touch to any room (I have about a million in my bedroom!). Invest in some big scented candles to make your room smell delicious. If you want some cute candles in your room but can't afford to invest too much, grab some tea lights (super cheap) and pop them inside old jars. Once dotted around your room, they look super pretty and chic. 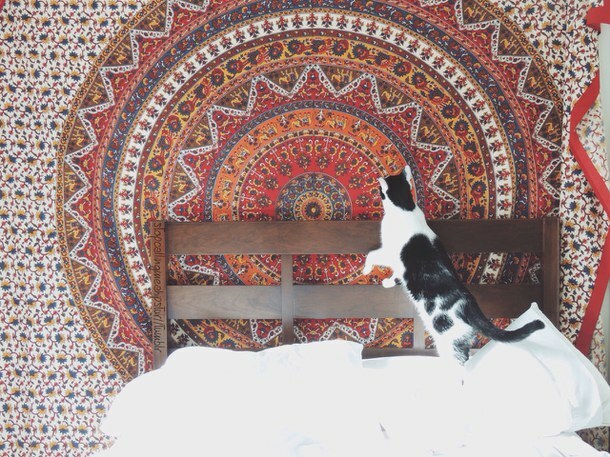 Adding a throw or tapestry is potentially one of the easiest ways to change up your room and add some character. You can get all sorts of different patterns, colours and pictures and they are super easy to hang up and take back down - just use pins or a staple gun. Also, if you purchase online from eBay or an Etsy shop they are usually much cheaper than buying them from a shop. 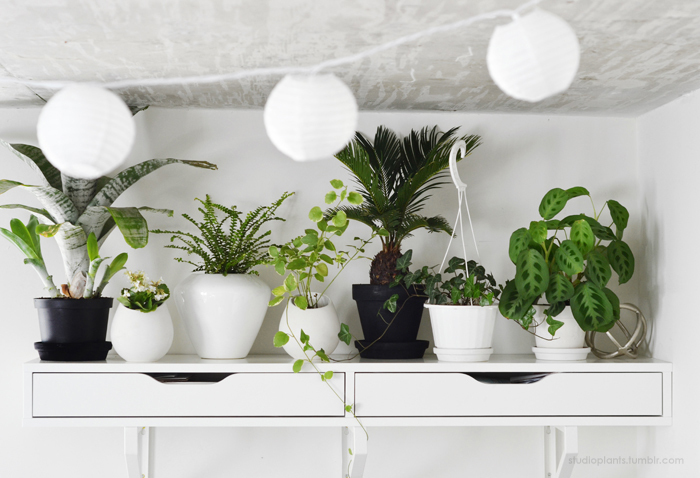 It's amazing how much having a few indoor plants can add to your room. Bringing in a little bit of green nature into your bedroom not only looks nice but has other benefits too. I currently have an Aloe Vera plant which releases oxygen over night, helping me to get a better nights sleep, and is super easy to take care of. Look into plants such as Lavender and Jasmine for your bedroom - both pretty, and both will improve your sleep. Fairy lights are something that I think are almost essential in a cosy room. They look pretty, they add light, they won't break your bank and you can hang or stick them pretty much anywhere! Try wrapping them around your bed frame or draping them across the walls for a super cosy feel. What have you added to your bedroom? I love lighting candles. They can totally change the atmosphere of a room. Great tips! I moved out less than a year ago and haven't really done any proper decorating at my new place, but I think it's about time. This post definitely comes in handy! Love all of these ideas, i recently moved into the loft so it was awesome to design my new room! Getting some serious bedroom inspiration now. 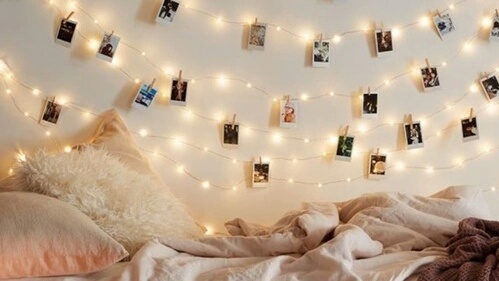 I love the idea of the fairy lights, such a cute option. I tried plants but they all died lol :( I think I'll just need to get a cactus or a succulents cause theyre easier to take care of. After Christmas, I kept my fairy lights out and used them to decorate my room! They're so pretty. I wish I could have candles around but I have a cat so it's like having a toddler on the loose. You know, I'm actually on the verge of redoing my whole room and I agree with you. Our room is our haven, it's where we go to when we need the most, so it only makes sense to make transform it in order for us to feel completely fine in it. I really love the idea of fairy lights! I'm a BIG fan of indoor plants (I've 2 cactus) and fairy lights! They look so lovely! Lovely ideas! I love candles and have loads! They make the room feel much more cosy and comfortable.Also got to love some good fairy lights! I have added candles, but could always use more.